Are you ready to take the next step in your career and really make a difference in people’s lives? 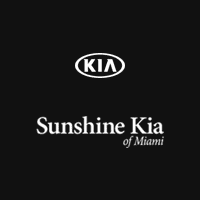 Consider joining the Sunshine Kia of Miami team! We are a full-service dealership and help drivers from across the region shop for, service and finance their dream car. Truly, you would be hard-pressed to find a more customer-focused dealership anywhere else! Consider joining our team. To apply for any of our open positions, fill out and submit the form below. If we think you would be a great fit for our team, we will contact you. Thank you for including Sunshine Kia of Miami in your employment search! By submitting this form you will be submitting an application for employment at Sunshine Kia of Miami. We appreciate your interest in the positions mentioned above and will contact you shortly. The information contained in this website is provided as a service to the Internet community and does not constitute legal advice. We try to provide quality information, but we make no claims, promises or guarantees about the accuracy, completeness, or adequacy of the information contained in or linked to this website and its associated sites and we make no claim that any of the free forms contained in this website are appropriate for your particular needs.